Have you ever noticed that a lot of blogs want to be seen as being the same as the media? And media companies are responding by hiring bloggers. But why is emulating the media so exciting? After all, the same media is so big, bloated& redundant that it is buried in debt. How is it possible that a humor blog network built on open source software would ever need to raise $30 million? The problem is that it is hard to stay different and operate at scale. You eventually become that you claimed to hate. If you are good at public relations you can claim tobe different to build exposure, but ultimately once a site becomes large there is no incentive for creating signal. Rather the game becomes generating as much exposure as you can to sell to brand advertisers. Content can be dressed up to stand out, but at the core it is basically the same. Bloggers can state that the hype cycle they hype shouldn’t be hyped, but action speaks louder than words. We can say we don’t need more Scoble hype (and the associated retractions), but rather a more filtered one. The problem is there is no incentive on the publisher front. Check out how outraged TechCrunch comment freetards were at the idea of a $4 per month premium offering from Kevin Rose. If people don’t want to pay for quality instead they pay for it by having to wade through more junk, scams& repetition. 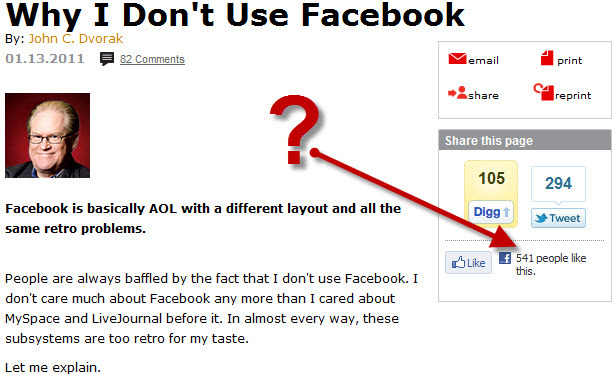 Here are 2posts from TechCrunch about Yahoo!. Both published on the same day. Both saying the same thing. There isn’t much difference between them than what a good markov generator could do. And, of course, there are the obligatorycatfights. Junk. The million channel words brings addressability. There is no mass any more. You can’t reach everyone. Mad Men is a hit and yet it has only been seen by 2% of the people in the USA. The polarization from such media & the blow-by-blow content style leads people to worry about inconsequential crap like their political ideology, where they can write based on a checklist. It makes them notice the trivial differences while remaining blinds to important things, like the systemic fraud that is supported and encouraged by both leading political parties. Arguing inconsequential details becomes increasingly addictive because the blame has to be sent to “them” rather than where is squarely belongs. Do you find it perplexing that the same media (which claims to be legitimate) has no problems running ads for total scams? Isn’t it bizarre that the same media that claims to protect citizens from the evils of the marketplace tries to blend the ads for such scams in with their navigation to sell their readers down the river? Is this what you would expect of Newsweek? Jokingly Geordie suggested how annoying he found the gallery sections on media sites with videos and pictures that seem like they are fresh off the Jerry Springer show. “WATCH: Teen beats ferret to death and eats it!” In the short run online advertising can grow quickly through tricking people, but the end result is distrust & people become less receptive. Governments often do dangerous and illegal things – which is why they fear each other. When the truth gets exposed people go to jail. Unfortunately, it is the wrong people who go to jail. Isn’t it weird that the mark of a successful blog is that it starts to look and feel and act like bloated media organizations? Is social media any better? Or is social media mostly a bunch of lemmings following each other off the side of the mountain? Just because there is lots of information doesn’t make all of it valuable. In fact, some of it has negative value. Who are the people who login to Facebook so they can vote on Facebook about how Facebook is a waste of time & they don’t use it? The narrative of “change” gives new companies a niche or angle to get press coverage from. People ask if it is the next Google, or more! 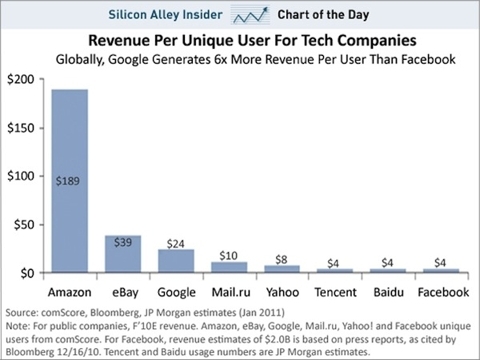 The service then go under-monetized for a couple years to feed growth and scale. The whole time the site is not monetized stories are seeded in the media about how media format x is powerful for brands even if the lead examples are nonsense. Facebook turns user messages into ad units via sponsored stories, doing something akin to turning beacon back on without anyone caring. Even as Facebook’s CEO page gets hacked, they want you to trust them with sharing as much information as possible (even if there is no benefit to you) and turning your messages into an ad unit. Privacy has value. What happens when your account gets hacked& you start recommending some uncomfortable stuff? What happens when a stalker catches you on the way home based on one of your messages? How many such experiences will be viewed as a series of isolated events before people figure it out? Once these ads lose their novelty will there still be real businesses behind them? Or is narcissistic advertising the wave of the future even as people realize they are being spied on? Is Twitter any better? In some regards sure, but they are building a self-serve ad network and are pushing followers and retweets as ad units. Wherever there is conversation there will be advertisers. New ad units will claim to move beyond the click, but ultimately they will be measured by the people selling the ads. This ends up being a game of fakemytraffic.com/fakemyvalue.com…where networks find something that sounds appealing at first blush and then water it down. The point I am trying to make is that these companies are blending their ad units and editorial so greatly that most people can’t tell them apart. If that sounds familiar, that is because it is. The key to making it work is perceived relevancy. That is easy to do when you have a large ad auction and users type their intent into a search box, but is much harder to do when people are browsing pictures of cats. Anyone who thinks that social is a clean search signal is forgetting that people vote most for stuff that his humorous & easy to share. And people share things that they saw others shared because they felt they had to. The echo chamber effect doesn’t encourage critical thought. It is mostly a bunch of +1. If there’s a broad call at the company to integrate social networking features, Singhal hasn’t quite heard it. He seems skeptical about whether social data can make search results significantly more relevant. If he’s searching for a new kind of dishwasher, he argues, his friend’s recommendations are interesting, but the cumulative opinion of experts manifested in search results is much more valuable. He notes that Google already integrates content from Twitter and says social networking data is easily manipulated. Can social context make search more relevant? “Maybe, maybe not. Social is just one signal. It’s a tiny signal,” he says. If Google can’t find much signal there then good luck to the folks trying to use Tweets to trade the (increasingly corrupted) stock market! And if you look at what brands (and even smaller advertisers) are doing, it is pretty clear that the “signal” in social isn’t much of a signal. If they count that, then search engines may as well just use ad budget as the primary signal of relevancy at that point. I am not sure where I read this quote from, but I think it went something like this “we are most similar where we are most vulgar and most unique in the ways we are sophisticated.” That is precisely why a lot of the broader networks will repeatedly fail in efforts to build strong niches outside their core. It is why there is so much value in being a fast follower. Human nature is both predictable& easily exploited. How you frame a question informs how people respond. We live in a corporate world where certain lies are expected& diseases are branded for maximum profitability. Messaging and imagery allow piss poor product to be branded as food. 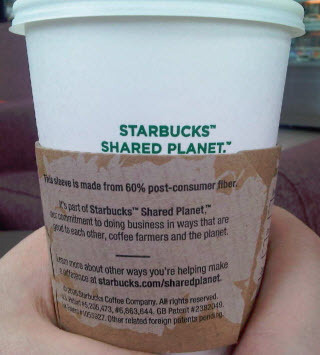 The abuse of language is so thorough that even the words “shared planet” need a TM next to them. What is Driving the “Social Revolution”? The currency pegs mean that most of the inflationary pressure you’re creating doesn’t hit your nation, it’s exported to others. That exactly how you like it, because you can claim “inflation expectations are well-anchored.” Perhaps they are in your nation, but in other places they’re extremely unanchored and are not only expectations, they’re realized facts as the basic cost of life spirals up out of control. This, in turn, provokes food riots in these less-well-endowed nations that you managed to dupe into participating in your outrageous scheme. After all, there’s only one thing worse than a hungry man. That’s a man who used to be well-fed and now he’s both hungry and ****ed, along with being unemployed. The social revolution we are seeing now is not due to social media. When Egypt shuts off the web (literally) Twitter and Facebook don’t really matter. What you are seeing is not the power of online social networks, but rather smart marketers who are trying to embed their networks in media coverage of important events. 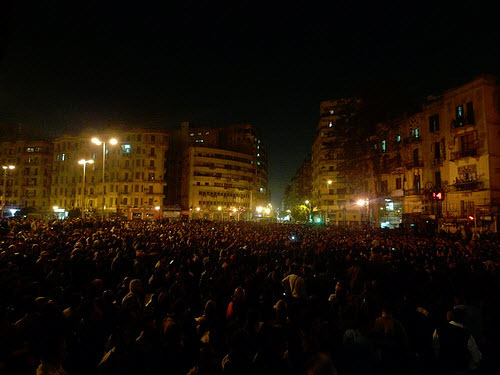 You don’t get mobs in the street the size of the following when the internet is unplugged if Twitter is the cause. Rather such mobs are caused because the lack of media doing its job to enforce a sense of outrage over the injustices caused upon societies world over by banking criminals. If there was any sense of justice the large banks that caused this mess would have been bankrupted. But instead we base economic strategy on the theoretical economy rather than its impact on the real world. Meanwhile, those who let bankerscommitfraud the world over think Twitter makes a difference. At least it’s comical.